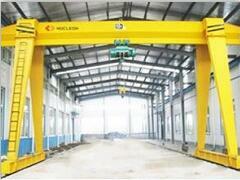 EOT CRANE LIFTING EQUIPMENT, lifting weight overhead crane is designed as light type lifting equipment. 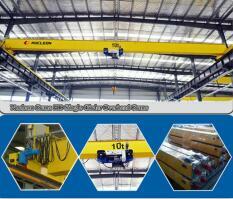 It consists of main girder, end carriage hoist and electric parts. 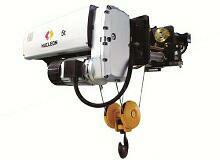 The whole set could lift goods and cargos with single lifting speed or double lifting speed electric hoist. 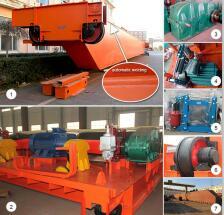 It is widely used in workshop, factory, warehouse and stuff yard. 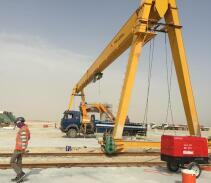 All the standers required for the crane is according to China standers and meet current ISO 9001:2000, ISO 14001:2004 and OHSAS 18001 specifications. 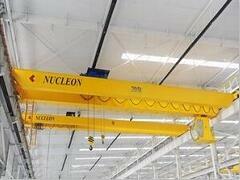 All cranes can be engineered to meet other local codes and regulations. 1. Primer and finishing paint with shot blasting technology. 2. Color: according to your requirements, normally is yellow. 1. 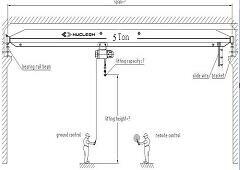 With technology support, such as shot blasting before painting, one-time-forming in production of single girder crane, and medium-frequency quenching of h, we have been in this field with high reputation for 8 years. 2. 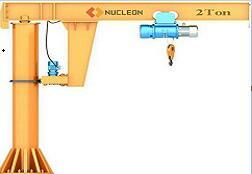 Top quality for many years with competitive prices. 3. 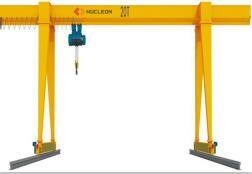 Compact design, reasonable structure, durable performance and high efficiency. 1. Overload protection: If the material or electric current is over the capacity, the crane will give a sharp warning for protecting itself. stop system to protect the operator and the related treasure. 3. Rubber buffers: Top quality long time bearing polyurethane materials buffer. 1. One year warranty for the whole machine from the test run day. 2.Free maintenance if problem occurs. And low charge for continue maintenance when warranty is expired. 3. Free quick-wear part provided. If you have any questions, Please don’t hesitate to contact me! !